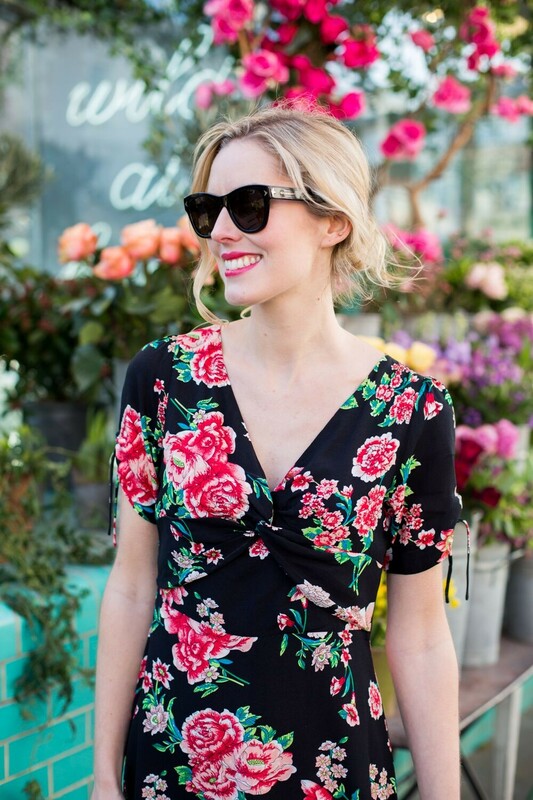 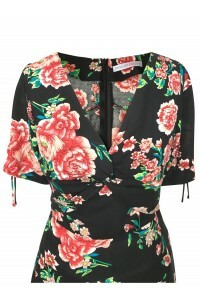 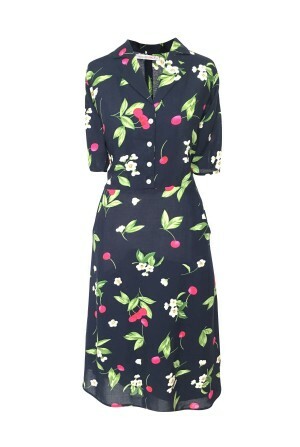 Well this Knotted Floral Tea Dress is certainly knot your average vintage style dress (sorry!). 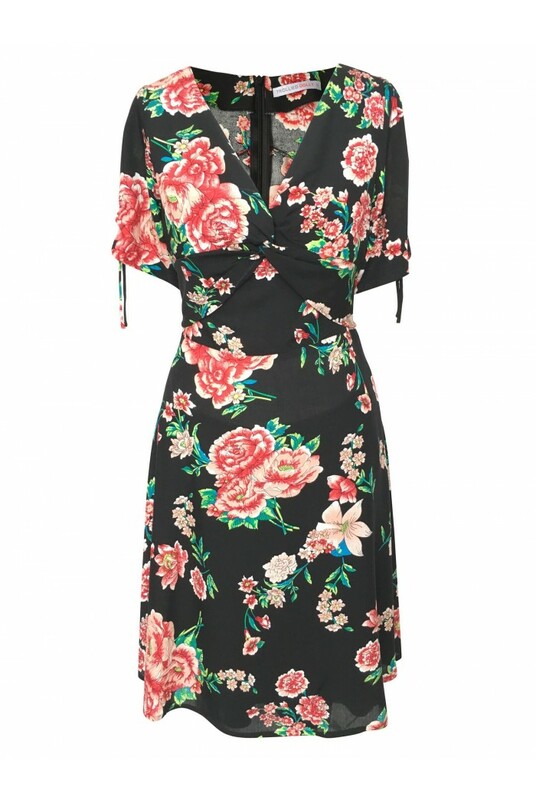 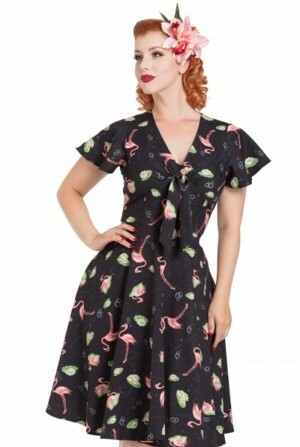 We are totally smitten with the care free, summer-loving look of this black 1940s style tea dress and that kooky knot gives it a Hawaiian holiday vibe that we can all dream of! 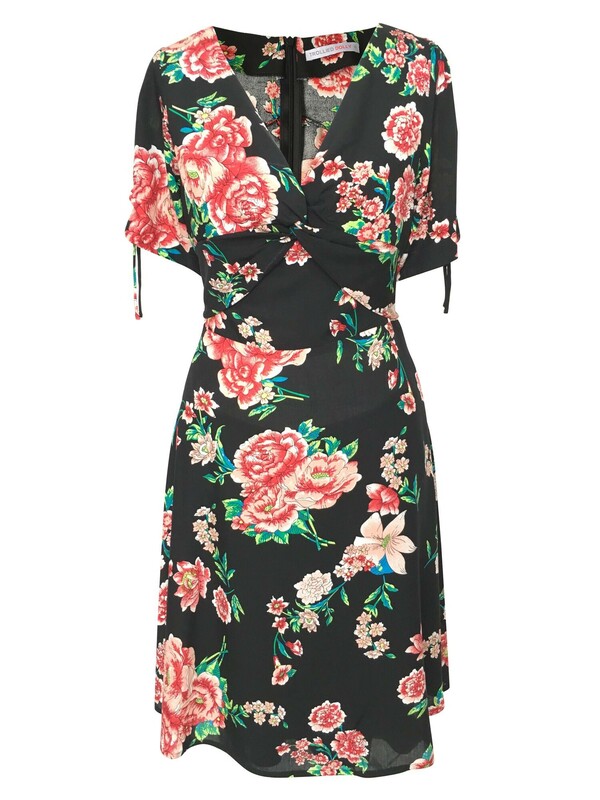 A fantastic option for beach bars, festivals or Spring walks, this flower print day dress has a bold enough print to get you noticed wherever you roam. 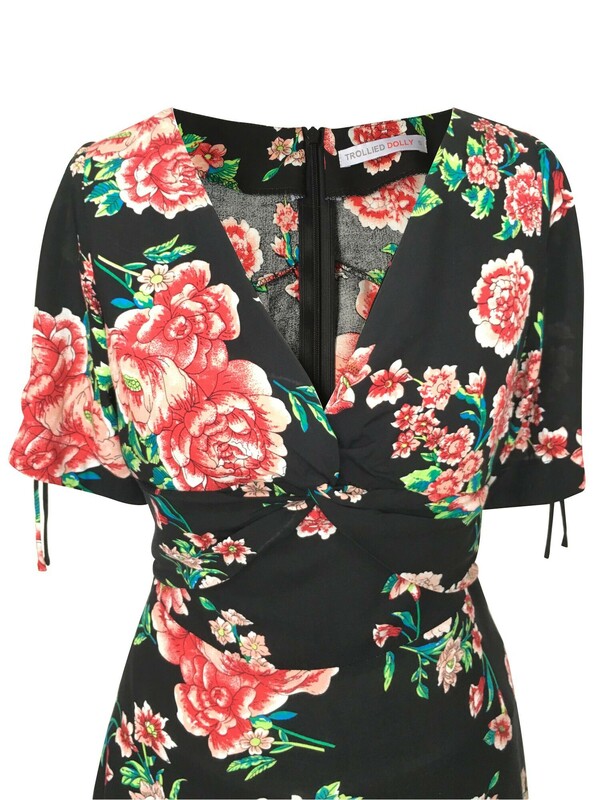 Spice things up in the evening and use the self tying strings on the sleeves to add some ruched effect and get a totally different look. 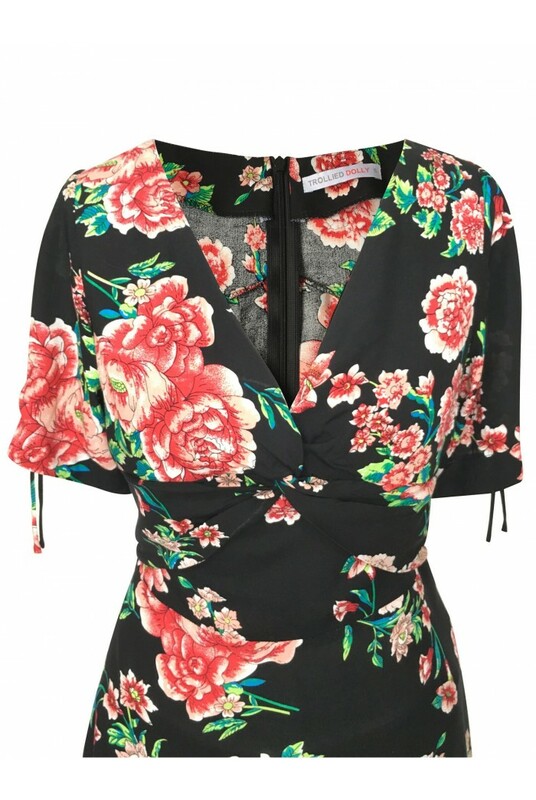 Team with a smattering of crystals to transform this dainty tea into done up doll.